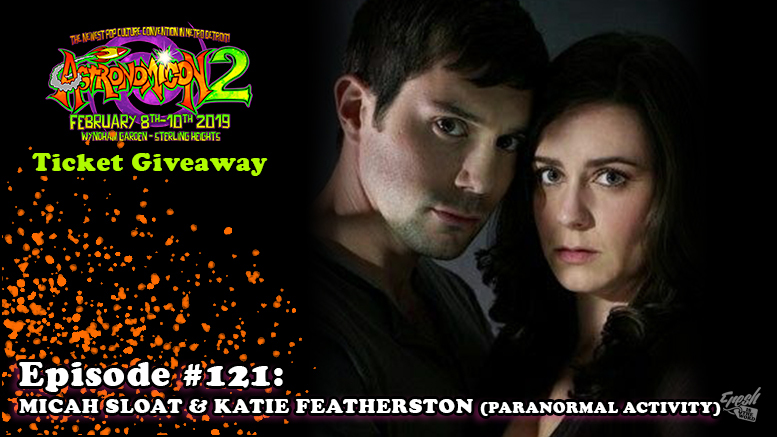 For this episode, we are joined by Micah Sloat and Katie Featherston, the stars of the 2007 horror film Paranormal Activity, which would go on to gross over $193 million worldwide and spark a whole franchise of films. During our interview, we talked about what went into their roles in the film and the long lasting impact the movie made on pop culture. 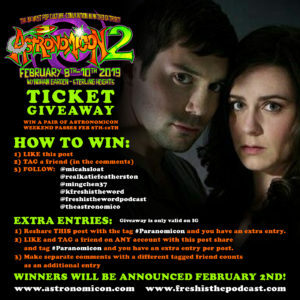 Micah Sloat and Katie Featherston will be guests at the Astronomicon 2 pop culture convention on February 8th-10th at Wyndham Garden in Sterling Heights, Michigan and Fresh is the Word is doing a contest on Instagram to giveaway three (3) pairs of general admission weekend passes to the event.